I'm just a week and a half away from attending my very first craft fair and had the brilliant idea (in my head at least) of creating a hand-coloured catalogue featuring my clear stamp range. I've used an A5-sized sketch book as the base, decorated the front and back covers and added a simple hand written contents list. I'll stamp and colour the different sets, one per page, so my customers can see up close what can be done with the stamps. If you'd like to make a catalogue of your own stamp collection, which I highly recommend, don't forget to use paper that is appropriate for your medium. Since I'm just using a basic sketch book filled with cartridge paper, all my images will be coloured with pencils. If you prefer using alcohol markers you'll need a book that has blending card pages, or water colour paper for watercolour paints. I would suggest that you scan the pages for furture use should something happen to it. Then you will be able to print more copies. This would also allow you to have more than one copy at your booth as well. 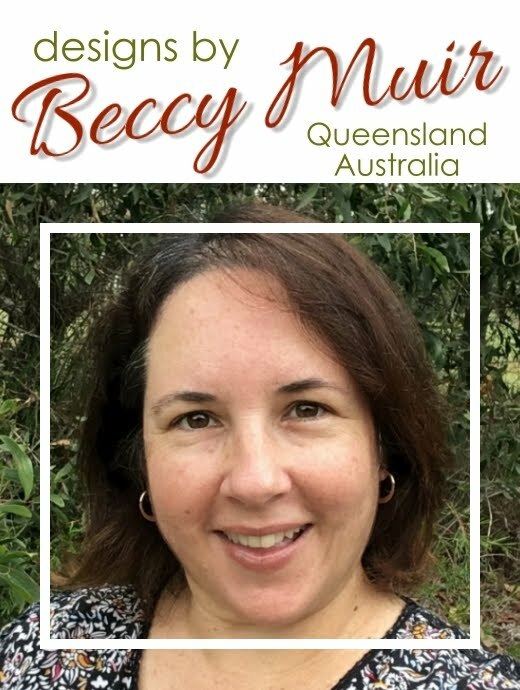 Wow, Beccy, what a beautiful idea! And it's wonderful for potential customers to see how beautifully you color and to encourage them to color (and buy)! This is an especially beautiful stamp set that I love (and have!). Hugs! Wow. I would love to see this in person! Maybe someday when I take that dream vacation to Australia!